Samsung says a new conversation about health is about to begin...less than a week before Apple is expected to talk about the same thing. The Korea-based electronics maker is sending out invites to a health-themed press event on Wednesday May 28 in San Francisco starting at 10:30 a.m. It appears the company wants to get a jump on its rival, Apple, which is also expected to make release a rumored Healthbook app with iOS 8 in early June. But what, exactly, Samsung wants to talk about is unclear. 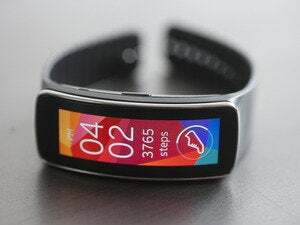 It's unlikely that Samsung will announce a new device as it only recently released the Samsung Galaxy S5 and the Gear Fit wristband. 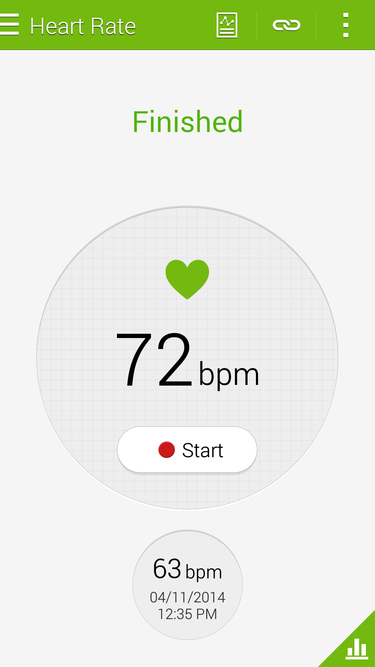 Samsung Galaxy S5 includes a built-in heart rate monitor. Both gadgets come with health-related apps and features. The Gear Fit is an activity tracker that features a heart rate sensor and pedometer—although we thought it was pretty bad at both. The S5 smartphone, meanwhile, comes loaded with Samsung's S Health app and features a heart rate monitor on the back of the phone. 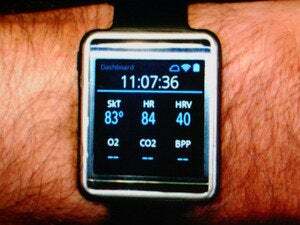 One possibility is that Samsung could be getting ready for a public release of its S Health software development kit. The S Health SDK has been in beta since February and perhaps it's time for an official release complete with major app partnerships. The S Health app is a personal health tracker that lets you record data such as workouts, blood glucose levels, weight, blood pressure, and diet, with all data backed up to Samsung's cloud. Another possibility is that Samsung's event could be about components. Engadget says its press invite came from Samsung's semiconductor division. The gadget blog theorized that Samsung might want to talk about the future of health-related sensors, processors, and displays as opposed to consumer products. Whatever the big press event will bring, Samsung's event is one of several major announcements expected in the coming weeks. In addition to Apple and Samsung, LG is expected to debut the G3 smartphone and G Watch at its event on May 27, and Motorola has an announcement planned for May 13.